It’s been quite a month and quite a year! 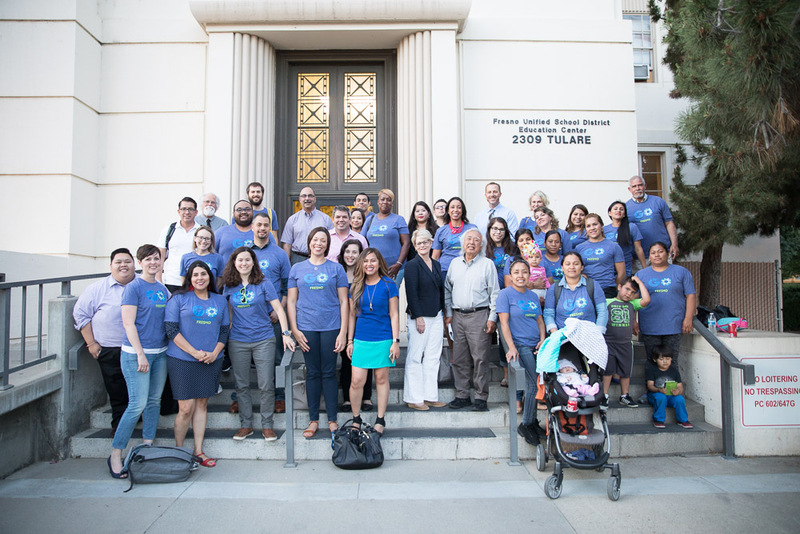 It was only a year ago – June 14th, 2017, to be exact – that GO Public Schools Fresno officially launched with the hopes of sparking honest conversations about public education in Fresno, engaging thousands of parents, educators and community allies in the conversation about schools and driving our school system toward the 21st century. With a big win last week in front of the board, we naturally have reflected on how far we’ve come in the last year. We are so pleased that in less than a year we have engaged almost 1,000 people, put out a community-driven Choosing Our Future report (in English and Spanish), and that this network has put forth bold policy recommendations. 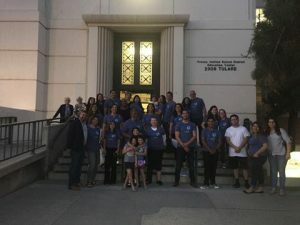 Last week, the Fresno Unified Board of Education took an important step forward in accepting the Choosing Our Future recommendations. What a great way to end our first year! 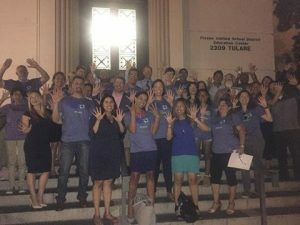 Thank you to the many families, educators and community allies who took the time to call their board members to express their support, to attend the board meetings (until 11 at night, no less) and who signed on as public supporters for Choosing Our Future. We couldn’t have done it without all of your support! Let’s take a moment to celebrate — there has been a lot of hard work that has been done to get us to where we are today. But as the back of the page of the Choosing Our Future report says: “This is just the beginning.” It is easy to accept recommendations. It is much harder to do the work with district staff, with union leaders, and with district leaders to make these policy recommendations turn into actionable improvements in schools across our city. While we have come so far in less than a year, we have so much work left to do to realize the vision we created together in which every child in Fresno can thrive in school and in life. We need to ensure that the recommendations of Choosing Our Future come to reality. It is important that we continue to have conversations with families throughout our city. We have to grow the number of people engaged in conversations about public education, ensure that the district funds and drives the work to redefine success, provide individual goals and empower educators through an innovation zone. Our board and district leaders will need community members to help support this work and to hold them accountable to transforming schools for all of our children. Thank you for all of you have done to help make this accomplishment possible. Please revel in this important first step, and reload for all of the next steps to come.